How do I create a new local installation for an asset from shore? 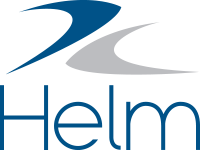 Which internet browsers does Helm CONNECT support? Which date and number formats do we support? How do I use the installation repair tool? What are the default reading types in Helm CONNECT? What are the default part units in Helm CONNECT? What are the default component types in Helm CONNECT? Why do I see this message: “Webpage Unavailable”? How do I reset a asset’s password?